Using our character bins to spread the message in schools. 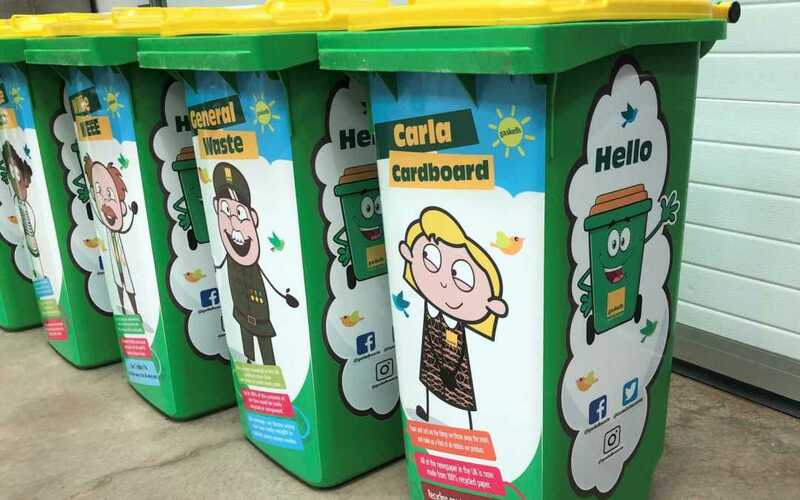 Gaskells are now using their specially created character bins to spread messages about recycling and the environment to schools across the areas we cover. 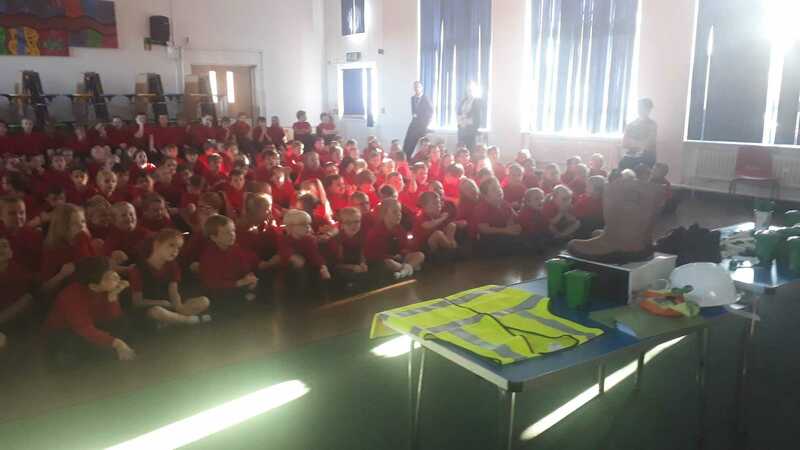 General Waste and some of his troops will be taking part in special presentations, as a lot of the schools we work with are already taking steps towards making their schools greener, so we’re explaining what happens to their waste after we take it away. The first school we went to as part of our special series of roadshows was Cuddington Primary in Northwich in Cheshire. 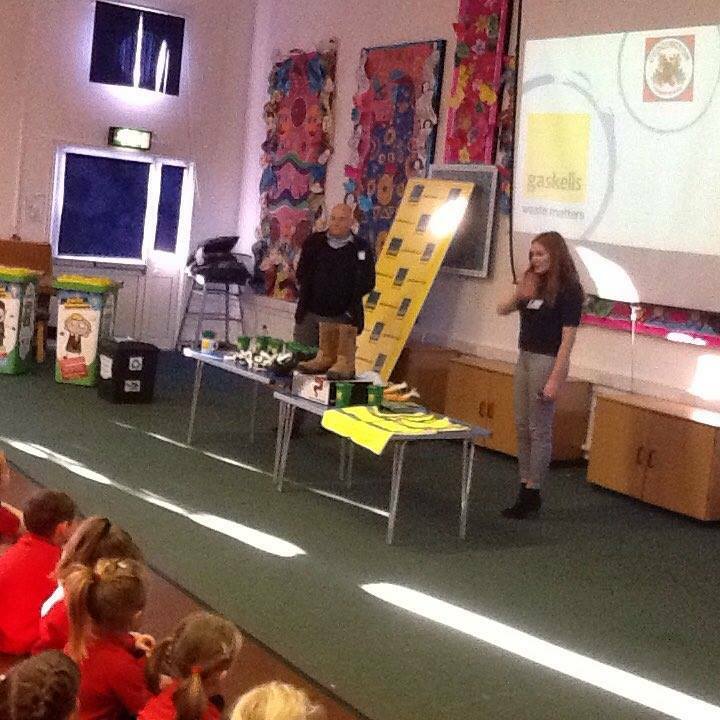 Our Sales Manager Gary, and Claire from our PR department hosted an assembly for 200 children of all ages,to talk all things waste and recycling. 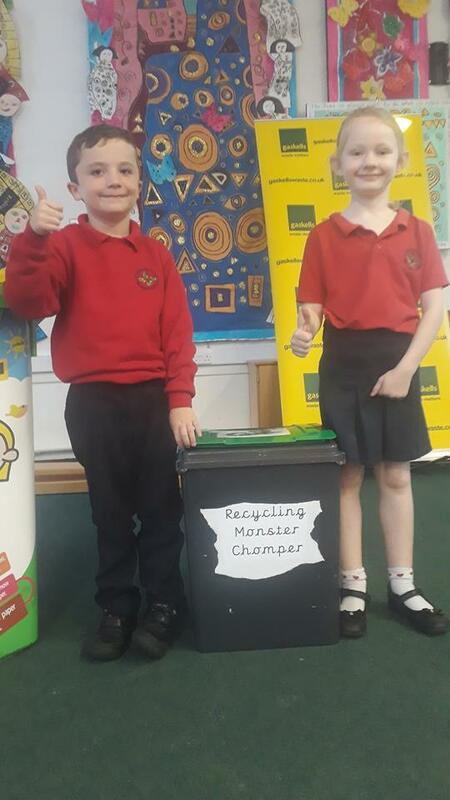 Cuddington Primary already has lots of green initiatives in place, including each class having its own card and paper recycling bin, and also has a small ECO teacher/children group which is overseeing steps towards making the school more environmentally friendly. We were there to speak about different waste streams, what can and can’t be recycled and were helped by General Waste and Candice Card, who formed part of the presentation. 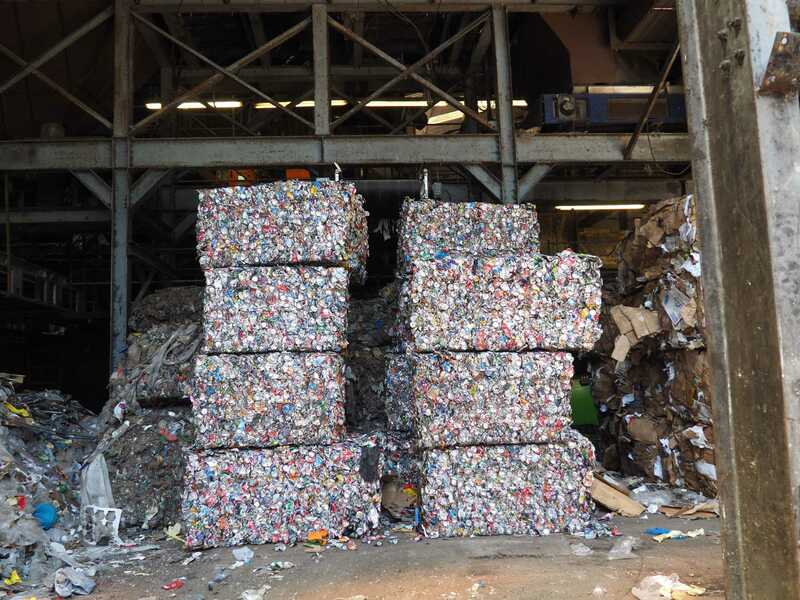 We took the children through the whole journey of waste, right from what happens to it from the moment they put it in their bins, to it being transported to our Materials Recycling Facility in Liverpool, and then the following process, after its first meeting with the bag splitter. We’d like to say a big thank you to everyone at the school, from start to finish, we had a fantastic welcome, thank you to everyone who helped us set up, and everyone at the assembly.. it was very lively, with lots of questions, lots of ideas, and exciting plans on how we can work together more in the future. 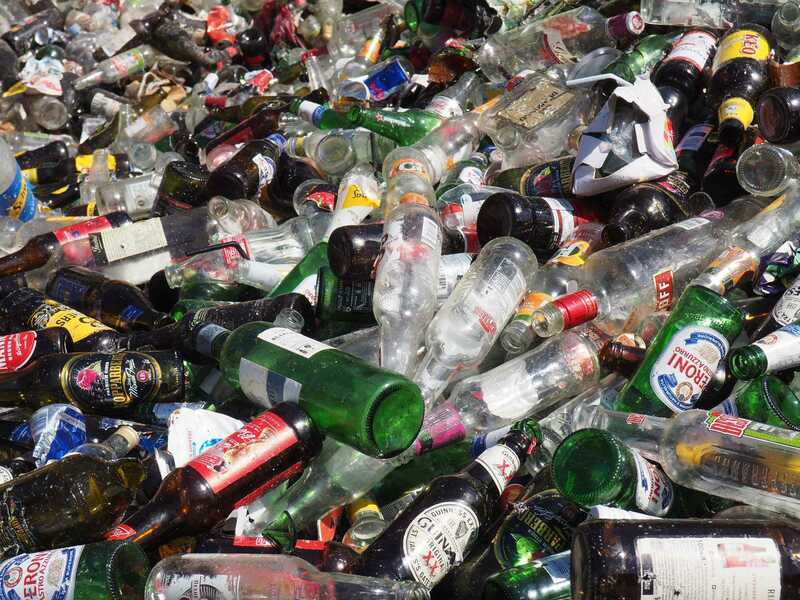 We’re looking forward to welcoming some of the ECO team for a tour of our MRF and also to working together on a couple of joint campaigns with all the classes, along with installing a number of different in school recycling containers. Again, a big thank you to Cuddington Primary, we thoroughly enjoyed it, and looking forward to seeing you all again soon.